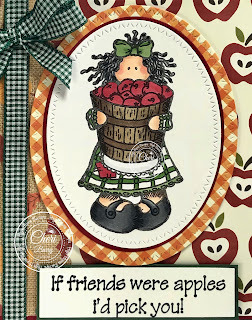 This past weekend I attended an Apple & Cheese Festival in a small town close to me! 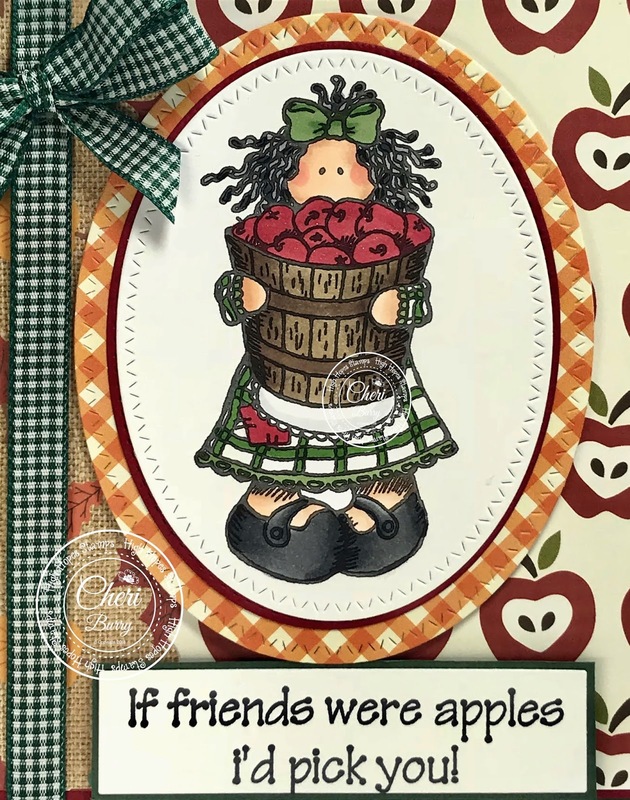 There were all kinds of things "apple", lots of crafts and things for the kids to do. As we were driving there I saw some beautiful orchards and the trees were full of apples. There were workers in the fields picking the apples. It reminded me of the High Hopes "Annie's Bushel" stamp and I thought it would be perfect for my post today! I chose paper from the Echo Park "Autumn Blessings" collection. I added some coordinating ribbon, bow and glitter pen to the red areas to finish off my card. 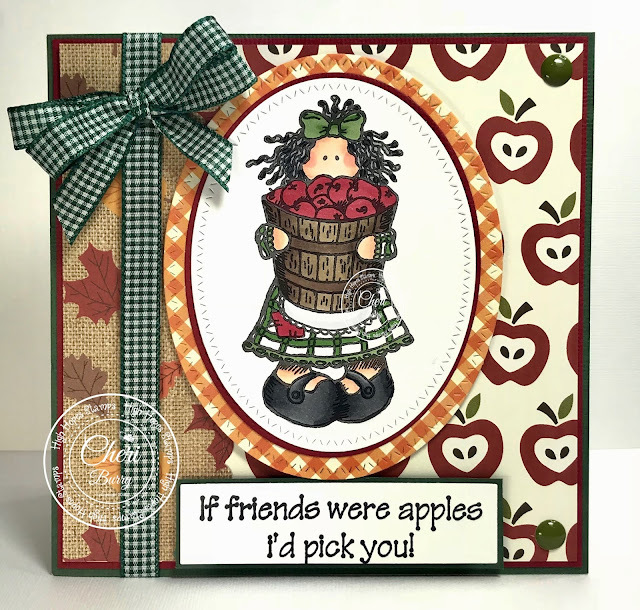 I used the High Hopes sentiment called "If Friends Were Apples".